Sarah Wright knows she’s in for a rough week when a ghost asking for help is the least frightening thing she has to deal with. A month after waking up as a vampire, unlife is feeling pretty sweet. Her mood swings are easing off, she’s got a decent boyfriend, and best of all, the parents let her slide on being lazy. They understand it’s a little awkward to keep a job when daylight can kill her. Oh, and the whole magical powers thing is pretty cool, too. After two weeks of quiet, her new normal blooms into a chaotic mess. Ashley’s awful luck with romance hits dangerously close to home. 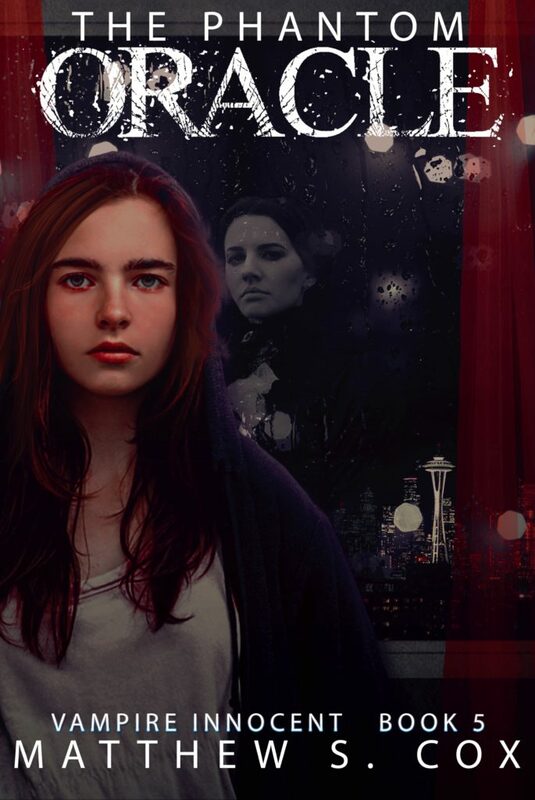 A simple favor for Aurélie ends with a possessed antique doll loose in the house, and worse, one random act of kindness gives Sarah something she’s never had before—a nemesis who wants to do more than kill her. She wants to utterly ruin her. 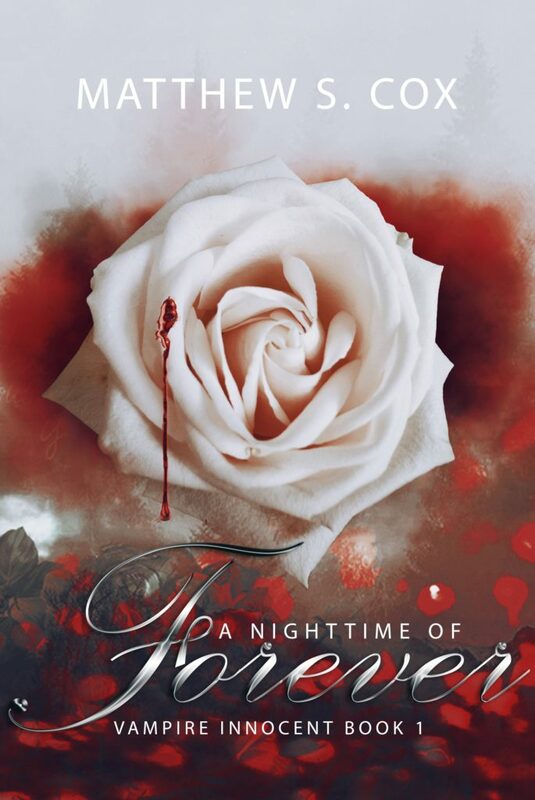 Also, book one (A Nighttime of Forever) is going on sale. 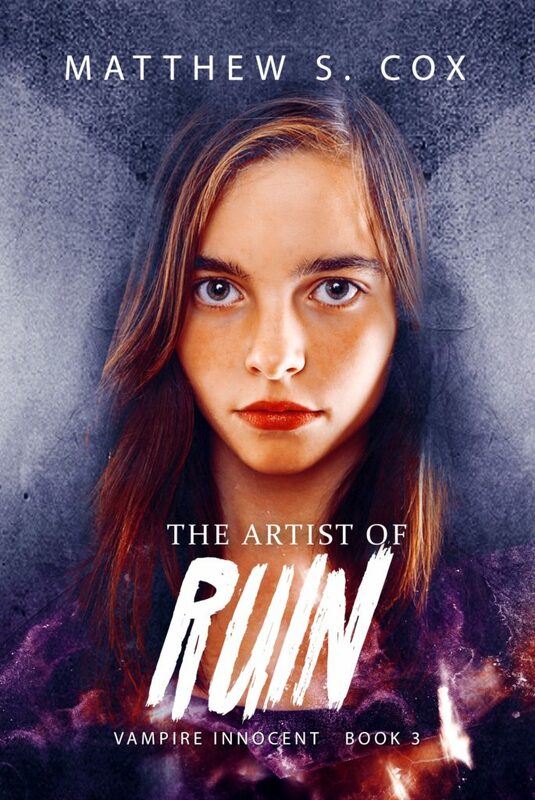 Grab it on #kindle for .99 over the next few days! Lots of covers going on these days! 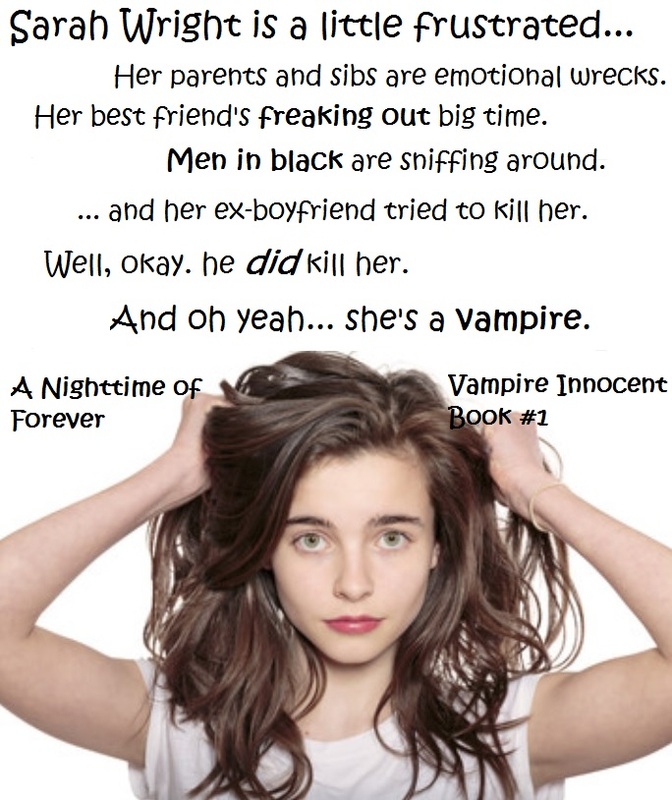 I’m pleased to announce the final cover for A Nighttime of Forever, the first book in my upcoming new vampire novel series, Vampire Innocent.